Auto Ship & Earn + 166 Points What's this? 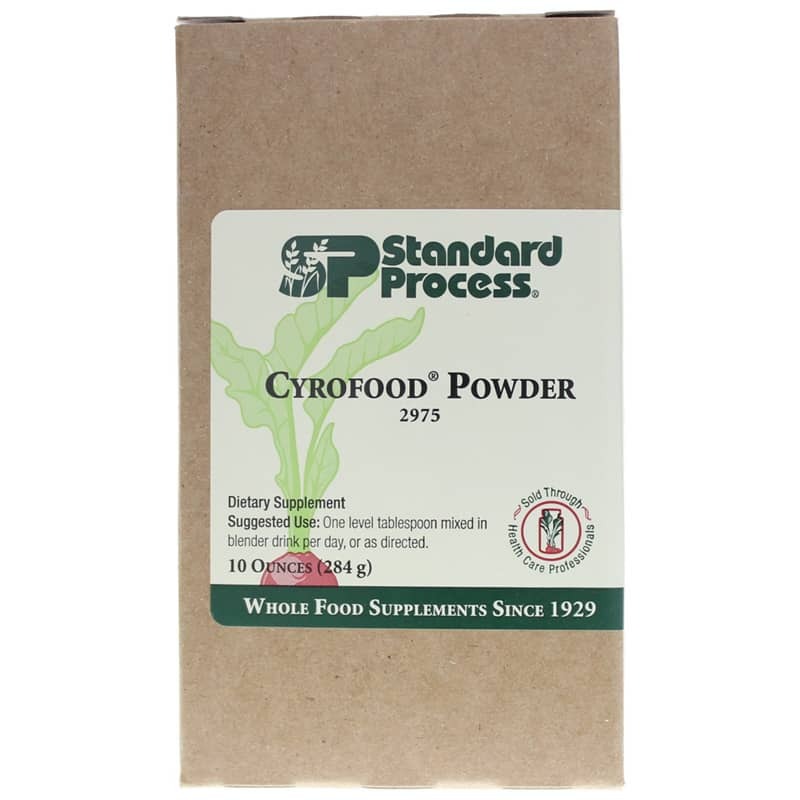 Cyrofood Powder by Standard Process is a natural supplement that supports cellular health and overall vitality. 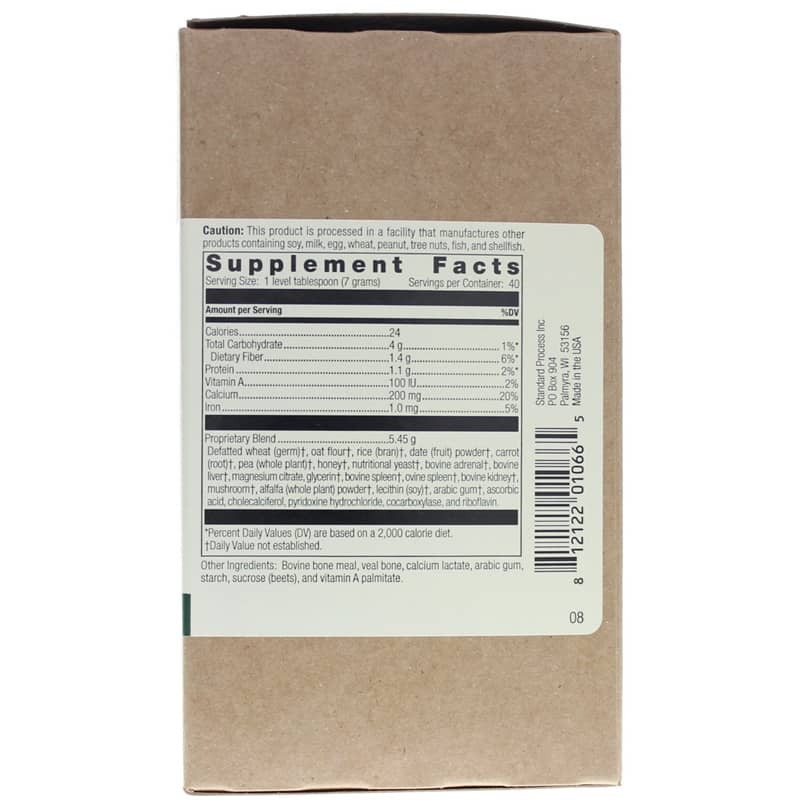 Other Ingredients: Bovine bone meal, veal bone, calcium lactate, arabic gum, starch, sucrose (beets), and vitamin A palmitate. One level tablespoon equals approximately: 21 Cyrofood tablets.